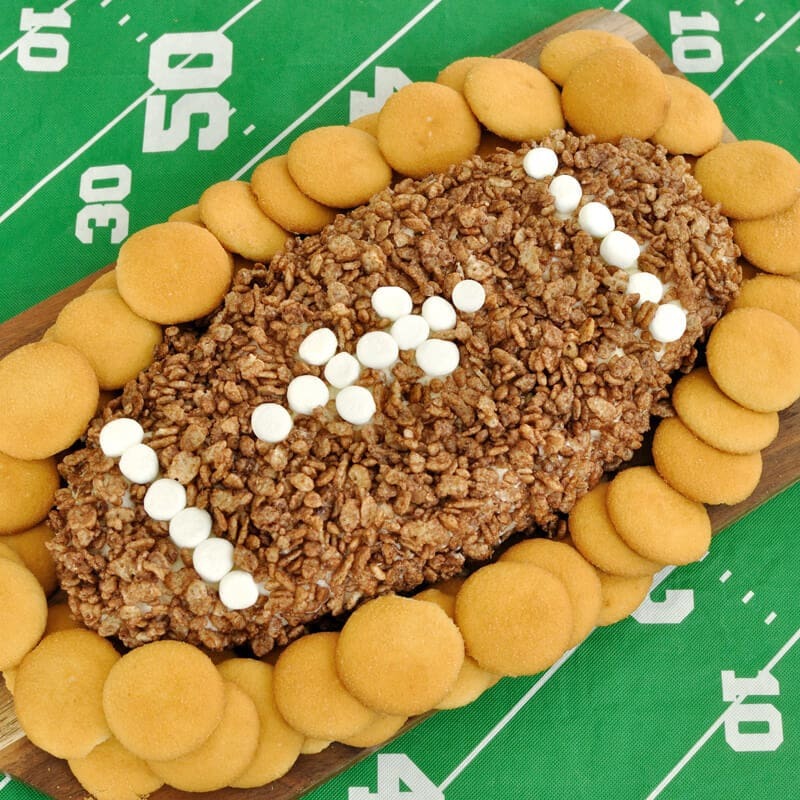 Serve this Cocoa Krispie Treat Football Cheese Ball as a fun appetizer or dessert on game day and your guests will keep coming back for more. 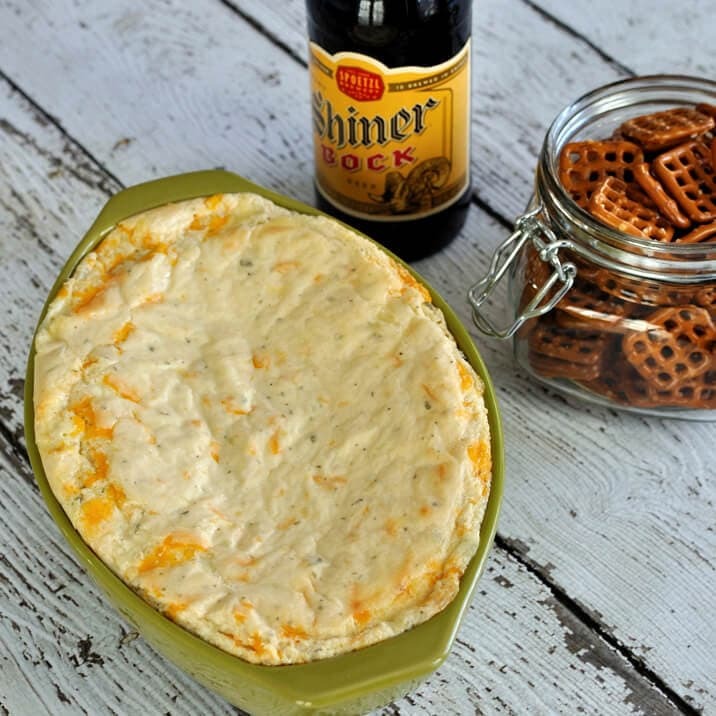 I’ve had the idea for this dessert cheese ball recipe in my head for a while now and finally got around to putting it together just in time for the Super Bowl. It’s like a gooey, marshmallowy rice krispie treat, but in an easy dip. 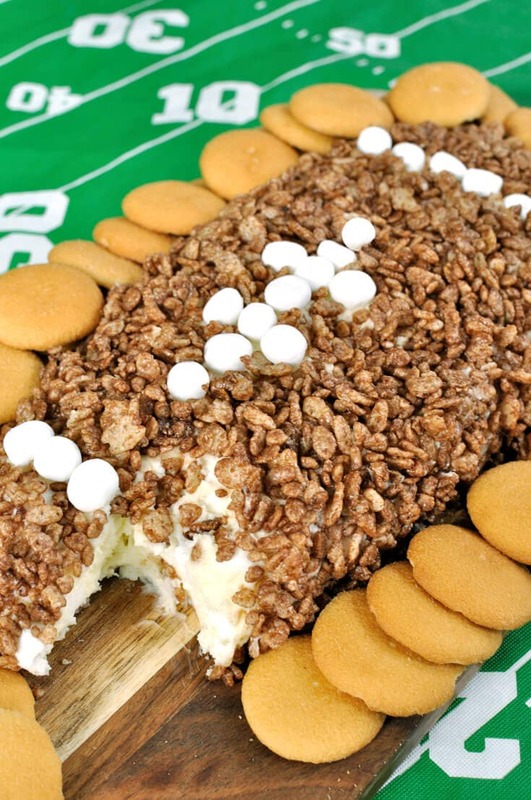 Mini marshmallows and marshmallow fluff add plenty of marshmallow goodness and the cocoa krispies add such a nice crunch to this cheese ball and of course give it that football like color. 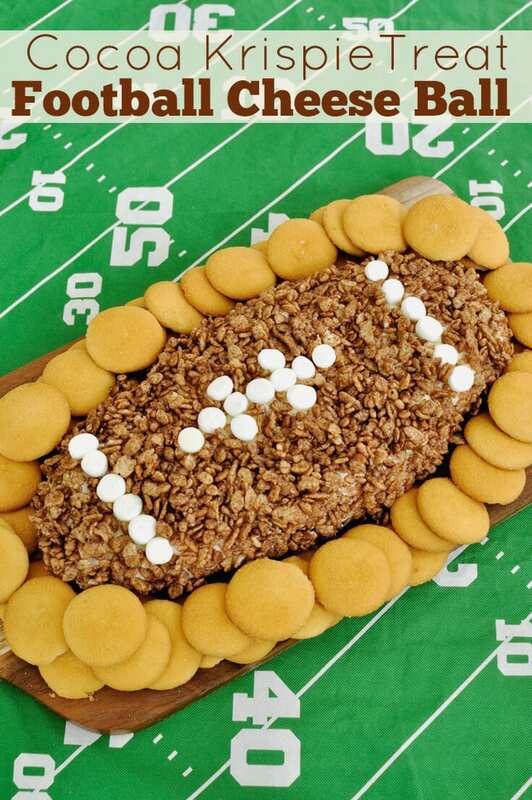 Mini marshmallows are also cut in half and used to decorate the cheese ball serving as the laces on the football. Such a cute idea for a Super Bowl party or game day get together and it tastes amazing too! 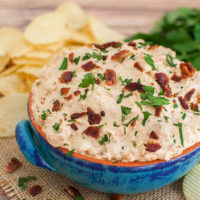 Vanilla wafers make great dippers to go along with this. Graham crackers would also work well. Using a mixer on medium speed, beat together the cream cheese and butter until creamy. Add in the powdered sugar and mix until smooth. Fold in marshmallow fluff and mini marshmallows until well combined. Cover mixture and place in the refrigerator for at least an hour to setup. 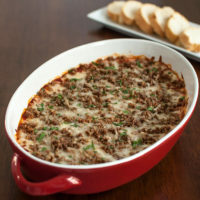 Remove mixture from refrigerator when ready to serve and place onto a plate or serving board. Shape to look like a football. Place cut mini marshmallows into the cheese ball forming the laces. Cover the rest of the cheese ball with cocoa krispies. Mixture will be sticky, but should be fairly easy to shape. 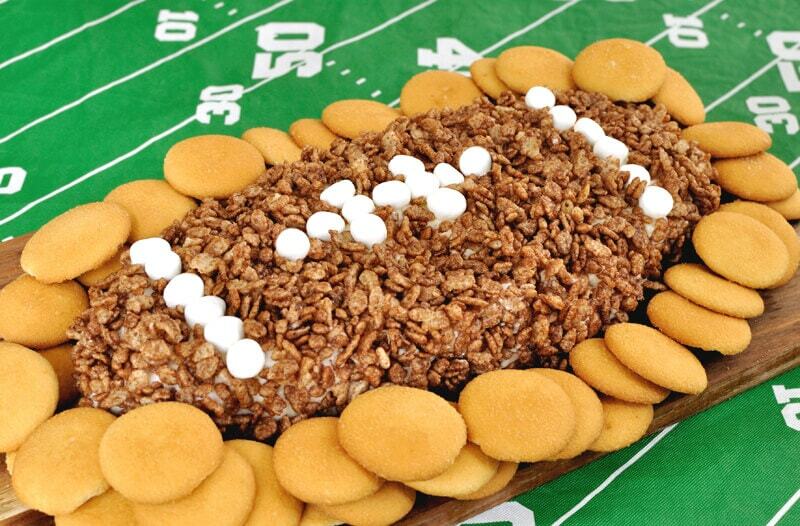 Serve this Cocoa Krispie Treat Football Cheese Ball with vanilla wafers or graham crackers.